Victorian aneroid barometer. 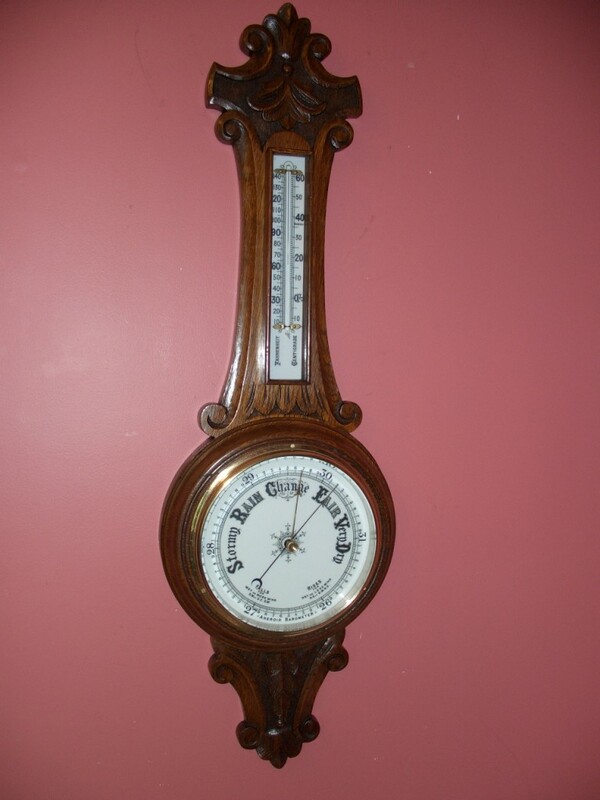 Nicely carved oak cased barometer with 8″ dial under thick 6mm bevelled glass. Thermometer with Centigrade and Fahrenheit scales. Fully restored with one years guarantee.